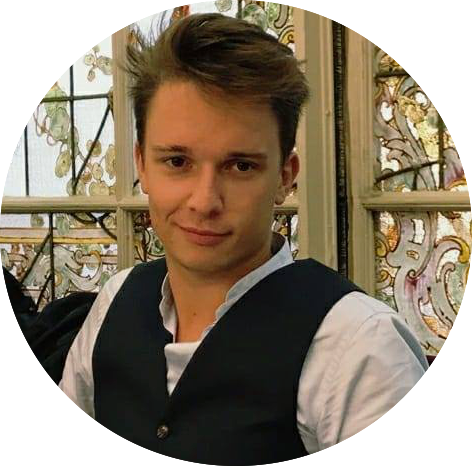 After a Licence and a M1 (first year of master) at the ENS Lyon in Physics, Paul Maisondieu is now following the Complex Systems Master's Degree of that same university. His previous research experiences were among the Jean Le Rond d'Alembert institute in Paris to study the precursors regimes in an heterogeneous material and in the Mathematics Department of the Imperial College where he made a study about the theoretical aspects of wetting, using path integral methods to compute the Casimir effect term. He joined the EPicx Lab as an intern student in February 2018, for six months. Paul is working under the supervision of Vittoria Colizza to model the dynamical spreading of an epidemic process in a veterinary context, using statistical physics and network science tools. He is currently modelling the movements of the bovines in Italy between 2006 and 2016, in order to identify the necessary conditions of an epidemic’s emergence.